We’ve all seen Fjällräven’s colorful, famous backpacks around town, and there’s even a decent chance we already own at least one of our own. But how many of us knew that they make more than just backpacks? Ever even thought about it before? It’s time to start! Luckily, we took care of the hard part and found the absolute cutest crossbody to show off first! Shop With Us: The ‘World’s Most Comfortable Shoe’ Is Celeb-Approved and Under $100! The Fjällräven Pocket crossbody is petite, functional and nothing like our other bags. Plus, it comes in a whole bunch of colors. It’s called the “Pocket” because its design was inspired by Fjällräven’s pockets on their classic garments, and, of course, it holds all of our essentials! Shoppers even started listing out the things they keep inside of it, including a wallet, phone, keys, tissues, sunglasses, lip balm, small notebook, passport, battery pack, cash and cards. We love reading about what other shoppers consider essentials. Endless inspiration! See it: Get the Fjällräven Pocket for just $40 at Zappos! Also available at Amazon in more colors! Shoppers also explained just why they love this Pocket bag in their glowing reviews. One said they actually like to bring it around in their bigger Fjällräven bag to easily grab when they only need to carry around a few things for quick errands. That way they won’t be weighed down by water bottles, makeup, lint rollers and whatever else we store in our totes and backpacks. Another shopper called it “so light” that we’ll actually forget we’re even wearing it! They went on to gush about all Fjällräven products, calling them “top notch” and “beautiful,” as well as “durable” enough to last a lifetime! 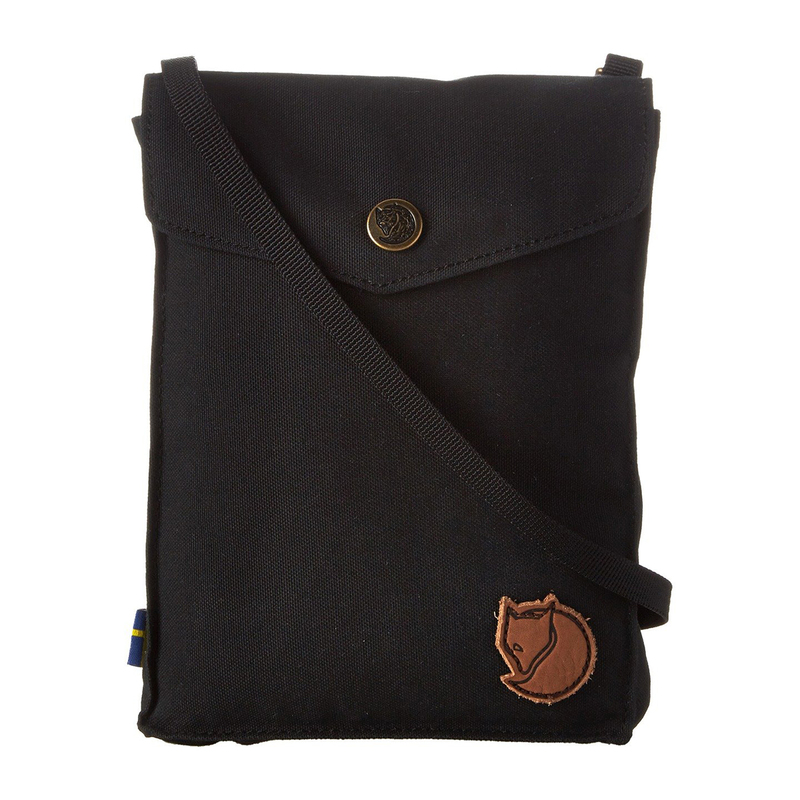 This bag is super soft and has Fjällräven’s adorable logo, a fox curled up in a ball, in the lower corner in a contrasting brown leather. It has an upright rectangular silhouette and an envelope-style flap with a snap-button closure up top. Before we even open that up though, let’s explore the outside a little more. Flip this bag over to find a zippered pocket in the back, perfect for storing smaller valuables we want to keep close by our side. Up top is the crossbody strap, which is thin and matches the color of the bag itself. It’s an adjustable strap, so we can play around with it to let the bag fall where it’s most comfortable on us! Okay, now let’s open up that main compartment. The small yet spacious interior is more than big enough to carry our everyday must-haves. It also has an internal slip pocket meant for holding our phone, though obviously we can choose to keep whatever we want in it! It all depends what we need that day. If not our phone, maybe we’ll choose to keep an emergency cookie in there for when we’re stressed (or just hungry). Need some other ideas? How about a tweezer, a backup mascara or a whole collection of hair ties and bobby pins? Of course, we’ll still lose them all and have to restock fairly often, but it’ll still be an improvement! This bag is currently available in seven colors at Zappos. Looks like it’s our lucky day! Hoping to keep it classic? Black is the color for us. It still has the light brown accent of the fox for visual interest and a slight sheen in the button hardware. That brown accent is actually a miracle in disguise, because it helps this bag match with both black or brown shoes and belts! Also matching well with both brown and black is the Sand color, a tanned beige functioning perfectly as a neutral. This color is great for everyday wear, but would also blend in seamlessly on a hike! The look of the bag is versatile enough to adapt to any situation. Green is the first version to explore some more colorful options. It’s an army green, so we’re still keeping it earthy for a color that matches with almost anything. Also in a similar realm is the Navy shade. And yes, we do pair navy with black! It’s 2019 and these antiquated fashion rules have got to go. Navy is also a great color to set as a base for pops of color like neon yellow or pink. Want a lighter blue? Check out Blue Ridge. It sits at the sweet spot between sky blue and cornflower blue and reminds us of summery weather. To go bolder, go for Redwood, which is a vivid red that can act as the perfect finishing touch to an outfit, especially if we’re looking for an easy accent. The last color is Garnet, a much darker red, but if we want it, we have to hurry! There are only a couple left in stock! Make sure to check out Amazon for even more colors! 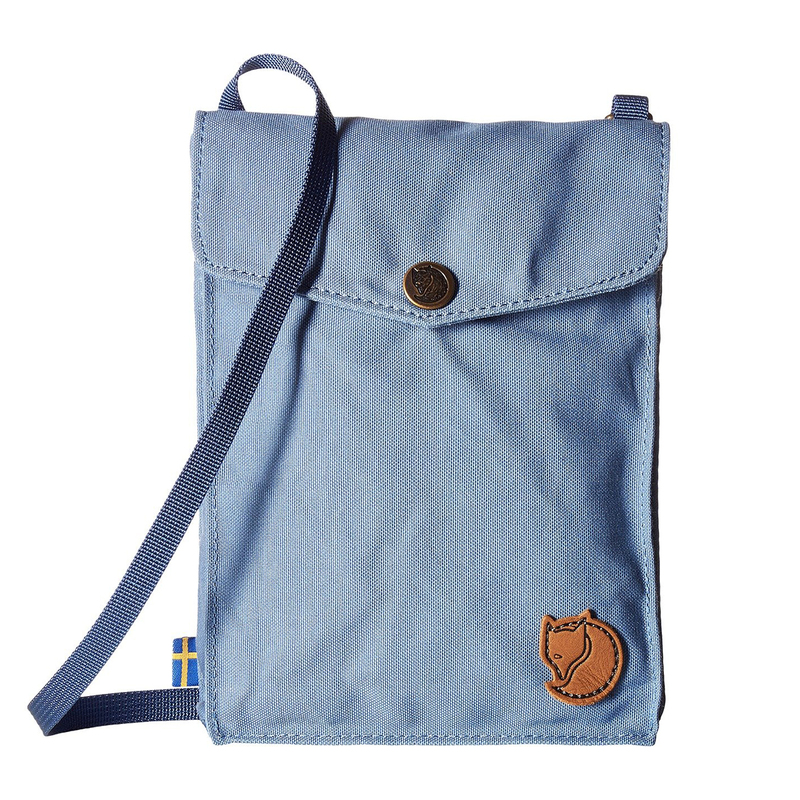 We were so excited to learn that Fjällräven made this adorable crossbody, and there’s more where that came from? We’re thinking about a tote or a duffel next. Thoughts? Not your style? Check out more from Fjällräven here and other crossbody bags available at Zappos here!